I’m a Swiss-French filmmaker, born in Lausanne and raised in Geneva. After spending a few years in England and Zimbabwe during my late teens, I moved to San Diego San Francisco, and eventually New York City, where I got my BFA and MFA in Dramatic Writing from NYU’s Tisch School of the Arts. Shortly after graduating, I moved to Denver (where I currently reside), created my own production company (Cinema Vertige), and wrote/directed a number of short subject narrative and non-fiction films, as well as several feature-length documentaries. 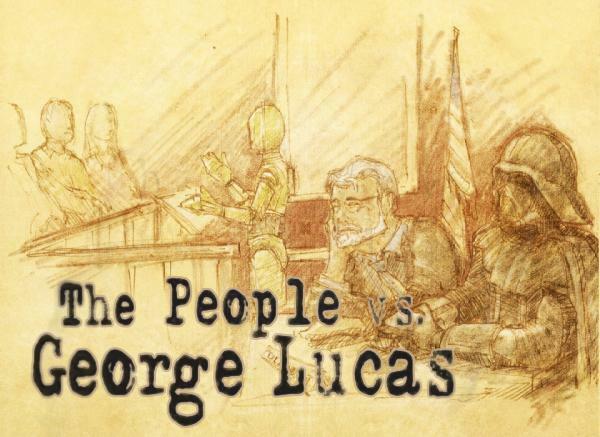 THE PEOPLE VS. GEORGE LUCAS is my third feature doc. I’ve had the title in my head for approximately five years now. As a STAR WARS fan myself, I’ve always been fascinated by the profound love/hate that George Lucas manages to conjure in his fans. There’s truly nothing quite like it in popular culture, and in the history of cinema. It’s a unique pop culture phenomenon that needed to be explored in a feature-length film, and that’s what drove me during the past three years. We had to knock on a lot of doors to find our main subjects, but the film is also a participatory documentary, and thousands of fans submitted their footage, opinions and ideas. We ended up with 634 hours of footage as a result. Because of our title, our biggest challenge was convincing people that our intent was to make a balanced and objective film. It is, in fact, a loving tribute to a filmmaker I greatly admire. I think the biggest surprise was discovering George’s 1988 testimony before Congress. I won’t spoil it here, but it’s definitely one of the high points of the film. Many exciting projects are in the pipeline including another feature doc about a controversial celebrity (which will probably be my next film), a Western, an animated fairy tale, an animated historical epic, a psychological thriller, and a slew of other short and feature docs currently in various stages of development. I was originally a playwright and screenwriter. I had several close calls with Hollywood and eventually decided to make my own films, because I couldn’t stand the idea that complete strangers could decide if my voice was worthy of being heard. So I became a filmmaker out of necessity and stubbornness. What are some of the creative influences? In the broadest sense—and at the risk of sounding a little corny—life is my creative influence. Any topic, any story can be worthy of a documentary if one is willing to dig enough to discover what it fundamentally is about, and how its broader themes and ideas might resonate with audiences. More specifically, I think I’m heavily influenced by comic book and fanboy culture, Japanese art and cinema, and the vicious humor of Tex Avery cartoons (which I adored as a kid). Not exactly, but close: NYU Dramatic Writing. That’s probably why I always put the emphasis on storytelling. A variety of HD cameras—primarily the Song EX1 and Song Cinealta F900. What has been the most unexpected thing to happen since taking on the film festival circuit? The lines! We packed huge theaters in Austin and Toronto and had to add screenings due to popular demand. We knew that the STAR WARS fans would show up, but audiences turned out to be a lot more eclectic than we expected, so it’s clear that our film has wide appeal beyond its core fan base. SILVERDOCS is known around the world as one of the most important documentary film festivals on the circuit, and I believe it will be an important stepping stone in the career of our film. Considering the central thematic role of the Library of Congress in our documentary, screenings at SILVERDOCS are also geographically significant for us. 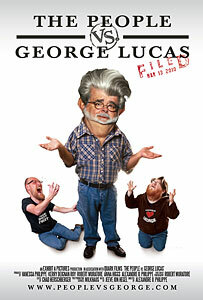 This entry was posted in Uncategorized and tagged george lucas, star wars, star wars trilogy. Bookmark the permalink.